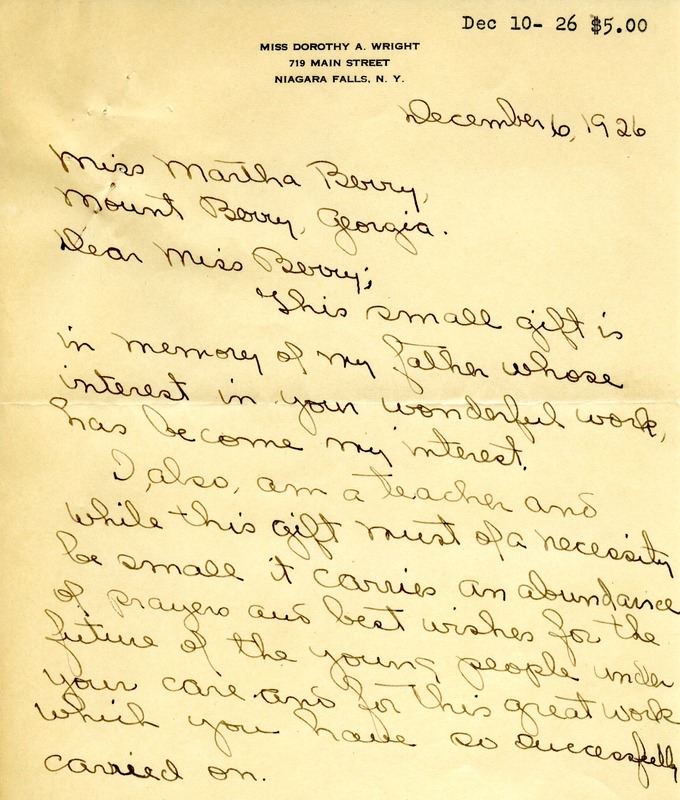 A letter to Martha Berry from Dorothy Wright. Dorothy was giving a gift to Martha in memory of her father who had great interest in Martha Berry's work. 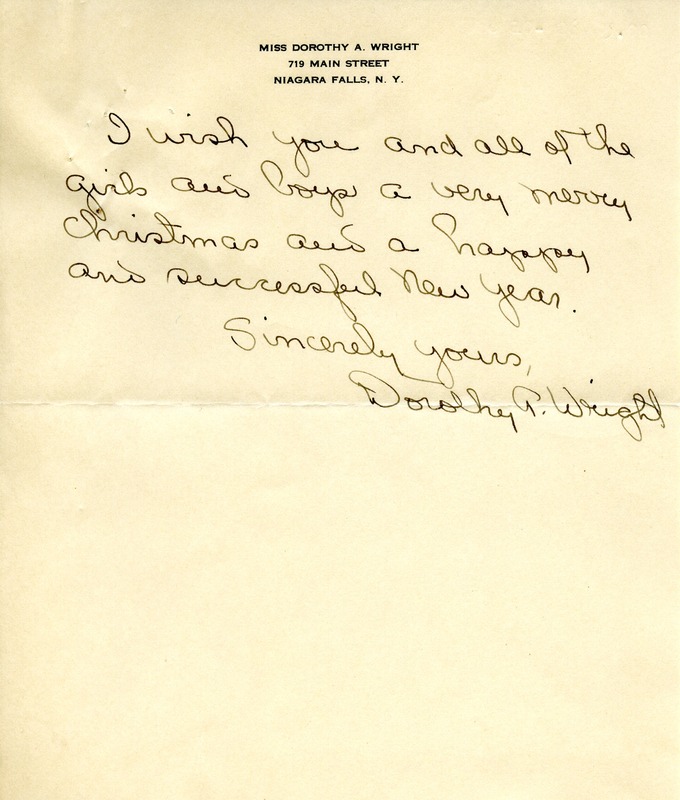 Dorothy A. Wright, “Letter to Martha Berry from Dorothy A. Wright.” Martha Berry Digital Archive. Eds. Schlitz, Stephanie A., Chelsea Risley, Aaron Jackson, et al. Mount Berry: Berry College, 2012. accessed April 24, 2019, https://mbda.berry.edu/items/show/3891.